What type of books do you write? Primarily humor/satire for teenagers, young adults, children and early readers. During my run on the Stone Rabbit series with Random House, I was focusing on children's humor/adventure that was done in the vein of most Saturday morning cartoons, courtesy of the drawing/writing style I was employing. But now I'm writing for older teens, and am currently exploring science fiction, psychological horror, parody/satire, as well as romantic comedies. So I guess you could say my genre of work is... "varied?" What is your newest book about? Well, it's funny you should ask which one is my "newest", seeing as how I have two brand-new books coming out all at around the same time. The first one, as you and many others already know, is Stone Rabbit Volume 8: Robot Frenzy. This is the eighth and final book in the Stone Rabbit book series which (boiled down) is basically about robot teddy bears running amok in Happy Glades (the hometown of SR and his friends) during the town's annual Harbor Day parade. As for the reason why the robot teddy bears went criminally insane, this was the direct result of Henri Tortoise's meddling. Because he didn't want to lose the first place prize for the float design contest, he decided to tinker with Judy's Goose's robot helpers in order to make them build the float, his way. However, doing this ultimately drove the robot teddy bears mad, which later, causes them to literally rip their own furry hides off of their robot bodies and start rampaging through town, wholesale. While there is another major plot twist to the story, I don't want to give too much away before the book is released. However, the underlying moral lessons of this book are that winning isn't everything, and friends will still be your friends, regardless of what you may or may not think about yourself. Again, I really don't want to give too much away, as the book hasn't hit the shelves yet and I don't want to spoil the read for the fans. That said, it should be available for sale on June 25th, in paperback, hardcover, and digital formats by Random House Young Readers Group. The second (and more "newer" of the two) is The Cartoon Guidebook To Absolute Failure, which I am currently doing alongside of Boston-based artist Logan Faerber, for SLG Publishing. In a nutshell, it's basically a series of anti-help books which educate the reader on the best possible ways to fail in just about every aspect of life, both real and imagined. This ranges from cake baking, to grizzly bear attacks, to hang gliding and vampire slaying, and even being a ninja and making summer movie blockbusters. We'll be releasing this book as a series of digital issues (six in all), followed by three printed volumes of the work starting later this summer. And once the series run is over, we'll be collecting all of the issues/volumes into one massive 200+ page hardcover book in the Spring of 2014. As for the Cartoon Guidebook to Absolute Failure, that was born from many things, as well. But I think it mainly comes from being bombarded by this kind of synthetic happiness which seems prevalent in the world today, courtesy of what TV and society forces us to expect from our lives and ourselves. My feeling, is that I just wanted to throw marmalade jam at it while laughing as hard and as loud as I possibly could. And I have to say, this book more than afforded me the opportunity to do so. What is the writing process like for you? It really is a strange and winding road, and is by no means a straight line to the finish like most people think it is. For me, the writing process is a combination of stream of consciousness, years of idea collecting and refining, and the right opportunity/angle by which to strike. Personally, I equate it more to farming than anything else. And just like farming, you can't just plant seeds in the dirt and expect them to be fully grown within half-a-week, or less. It takes time, patience, and plenty of hard work and nurturing in order to harvest your crops properly, and the same goes for developing ideas. Because I've never heard any publisher say to me, "You know what? You seem like a really nice guy! So how about we give you this here book advance and you can just take all the time you want writing whatever book you feel like writing, okay?" So (in essence) this means I must be continually creating, writing, and developing ideas in order to have them at the ready for when a publisher decidedly walks by. In other words, my books are already written and/or thought out long before a publisher ever pays me to write them. What did you do before you became an author? Before I became an author, I was a freelance illustrator, cartoonist, and animator. I've worked on TV shows, comic books, corporate slide shows, political cartoons, small-form animations, and even web and logo designs. So I was kind of all over the map, professionally speaking. Although, I don't think you can "become" an author, because being an author is really just a byproduct of a raging need to share the thoughts that run wild within your own brain. So really, it has more to do with an evolution of self than a job title, per se. But in terms of how I feel about being a published author... well... that's kind of a mixed bag. I do admit that I like having a job where I can basically take any idea that pops into my mind, crank it to eleven, and then turn a profit on it. But at the same time, it's a rather isolated lifestyle in comparison to the average person. I don't "clock in" anywhere, I don't commute to work, I don't sit around the water cooler and "dish" to fellow coworkers, and I don't go to bars/clubs after the workday ends to "chillax" with friends. But at the same time, I have the same pressures as any other job out there. This means I have to handle deadlines, team management, and inter-office business politics, all while maintaining overall quality and workflow. So even though I do work alone, I'm not truly ever "alone" in my work, if that makes any sense. However, I will say that, despite those drawbacks, there are pluses. These are (1) I can work/live anywhere I want, (2) I can write/work on anything I want, and (3) I can never be fired or laid off from my job, no matter how hard I try. This is both beautiful and horrifying all in the same breath, and really, only favors those who are self-motivated and self-disciplined. Thankfully, I fit into those categories rather nicely, so this really doesn't bother me all that much. But, at the same time, I can see how living this can drive some people up the wall. But in terms of defining "struggle" with finding book placement among publishers, this will change very little, no matter where you are on the professional ladder. It's just the way the industry is and always will be. I've been doing this for nearly 10 years, and I still have a rough time placing books with publishers, especially in this economy. But I will say that, as your skills improve, and as your reputation grows, the process does begin to get a little bit easier over time. This stems from the combination of you learning your craft, expanding your professional base, and understanding the process by which books are selected, approved, and determined. Because every publisher has specific needs. For example, some publishers only publish children's books, while others only publish humor. Some even publish sci-fi and horror exclusively to the YA market. So, the "trick" to finding placement for your work is to not look for which publisher can give you the most exposure or money for your work. Instead, you need to look for where your book can blend in the most with the other books around it in a particular publisher's catalogue. Because, otherwise, you're just going to waste everybody's time, especially your own. Finally, if we define the word "struggle" as being one of creativity, then there is a very simple solution for that. You're only struggling because you're fighting against yourself. This is usually the result of the writer trying to forcibly (and artificially) adjust their idea to suit a business model or IP (Intellectual Property) that they want to emulate, and in doing so, are creatively destroying their work. The solution? Stop doing that. Because you're only going to anger yourself and make the work read like a stilted piece of garbage, anyway. The best thing to do is to always remember the first rule of writing, which is to "have fun." If you don't do that, then everything else is meaningless. Where do you see book publishing heading? Good question. This is really a measure of many factors and variables. Among them are the impacts of globalization, publisher consolidations, rising overseas manufacturing costs, greater shareholder influence over company decision making, continued inflation in the financial/currency markets, rising demand for digital media, and failing store fronts across the board. All of those factors combined create a meandering road to the book industry eventually going digital. Why? Because doing so means (1) they (the publishers/vendors) can determine (and artificially maintain) their pricing, instead of the market, (2) it offers a far greater profit margin versus traditional models of sale, print/manufacture, and distribution, (3) all sales made digitally are final, and are non-transferable due to DRM (Digital Rights Management) and being tied to a personal account. By going down this route, publishers will be able to effectively maximize sales while efficiently minimizing overall production costs, due to no mass-manufacturing of a physical end product. So this model will only continue to grow in the future, as the old ways slowly diminish due to their perceived inefficiency to compete. How do I know this will happen? Because it's already happened before. Look at the film and music industry. For example, when was the last time you listened to your music on a record player? Or when was the last time you actually saw a film on film? So, yes, both the delivery and the distribution models of books will change. This is inevitable. But just because the way we access our media will change, it doesn't mean that the media we're accessing will be vastly different from the kind we currently (or have previously) enjoyed. Also, this is not to say that book publishers will do away with the printed form altogether. There are still sales to be made on that side of the market, and if there's a demand, then they will be more than happy to supply that demand, for a fee. So, until e-books become the new standard of publishing, and books themselves are done away with and thrown into the collective garbage piles and landfills of the world, publishers will most likely use e-books as an effective means of offsetting short term loss/risk. This means that they will make their primary business model be that of digital distribution first, and print second, provided that the previous venture was successful. This way, they can secure sales while minimizing their costs (again, due to no physical manufacturing of product), and then use the funds gained from digital sales in order to fund the printed runs, all without dipping into their own personal funds. However, should the books not sell well, then they know that it's a bad idea to take it to print, and will leave it in the electronic form, only. So they win, either way, seeing as how they'll experience no loss (other than the creative costs, if that), should it not extend beyond the digital format. We can see this already happening in the comic world, and most of the major book publishers have recently set up digital-only branches of their own publishing imprints. So this is not something that will go away, and will only grow in time. How much time depends on how much public outcry or acceptance there is of this new delivery method. But what I will say is that there is far too much money to be made and opportunity to be had from having this paradigm shift happening. So really, this is not a question of if it happens, but rather, a question of when. What distinguishes Scientific American from other magazines? For starters, Scientific American, founded in 1845, is the longest continuously published magazine in the U.S. It offers its readers a means to satisfy their intellectual curiosity about the wonder and beauty of science as well as to understand the complexities of the modern world—which increasingly requires a working knowledge of science-related issues such as climate change, energy sources, medical advances, and a digitally transformed society. It also is unique in that it features both the writing of expert journalists as well as that of the scientists who are at the forefront of research today. Scientific American has a circulation 450,000 in the U.S., and more than one million worldwide in 14 translated editions; its Web site averages more than 4.5 million unique visitors a month. How do you promote your unique editorial voice amidst a sea of clutter? Science itself is a collective effort, and our contributors—our staff editorial team, the journalists we commission, and the scientists and other experts who also author our articles—all play a role in broadcasting their work inScientific American. We use a combination of traditional public relations, our own editorial social media (both through individual staff personal accounts and the branded ones); speaking as experts at conferences; and appearing as subjects in other media coverage—such as this! How can we get more of our youth turned on to science and the marvels it holds? Kids are born scientists. You don’t have to believe me—research backs this up. What I mean by that is they naturally ask questions and set about through “experiments” to understanding the world around them. So the secret is to keep that spark of interest kindled through inquiry-based learning. We offer several ways to do that at Scientific American. Bring Science Home, for instance, is our free series of weekly science activities for parents to do with their kids ages 6-12. 1,000 Scientists in 1,000 Days is our program that matches (by location and discipline) teachers with volunteer scientists who can visit classrooms. We add a new Citizen Science project, which anyone can do to help make science happen, to the site each week. And we funded one of our own citizen-science project, called Whale.FM, which lets you help scientists to “speak whale” simply by spending a few minutes whenever convenient listening to snippets of whale songs and matching them up. Last, Scientific American is a founding partner of the Google Science Fair, a global online competition for kids ages 13-18. How is Scientific American utilizing digital media to grow its readership? To me, every magazine is like an organic creature—it evolves and adapts over time, or it doesn’t survive. In the same fashion, Scientific American has long embraced digital media—starting with its own site launch almost 20 (yes, 20!) years ago, as part of the initial offerings by AOL.com, before magazines had their own sites. Today, Scientific American’s Web site provides more than a complement to the print edition—it is the larger (by far) of the two, both in terms of content we offer and total audience size. We have optimized the site for mobile—and more than a quarter of our audience now consumes the site content that way. We have a tablet edition as well. And those are just for the regular offerings. Naturally, we also offer themed selections from our 168 years of digitized archives, ebooks on various topics, and special editions as well. What trends do you see in magazine publishing? We continue to see several trends at once in magazine publishing. For one, audience demographics/interests are shifting based on people’s preferred platforms for content consumption. For instance, we tailor content for our print audience in a different way than for our Web site, because the audiences now differ (online is 10 years younger, for one, with a nearly 50/50 male/female ratio, whereas we have a greater percentage of males reading print). Another trend is the continued commoditization of news; fortunately for Scientific American, its audiences find its offerings unique enough that they are worth paying for. Both advertising sales and custom products have continued to be smaller revenue sources than they historically, particularly in digital. On the other hand, consumers have never been more directly engaged in content—both in responding to it and in assisting with it, through user-generated platforms. The result is challenging for business models, but I would not go back to the pre-social-media world. What do you find most rewarding and challenging in your job? The rapid rate of change is BOTH the most rewarding and the most challenging in my job. Many of us who went into journalism partly did so out of the sheer joy of learning something new and then sharing that understanding through our stories that inform and entertain our audiences. But we also partly did so because we are very curious people who get bored when we are not adequately challenged. I never lack for challenges in today’s marketplace—and I am often greatly pleased by how Scientific American’s readers have generously responded to our various initiatives and experiments. I feel as if we’re all figuring things out together, and that is gratifying indeed. What Is Your Attitude Towards Book Publicity? How Can Authors Measure Social Media Success? I recently spoke at the Cape Cod Writers Conference (I recommend you attend their annual gathering) and found myself spending a few nights on Cape Cod, in Massachusetts. The younger me would’ve gone out to a club. But I’m not the 20-something, stay-up-all-night guy. The single me would’ve looked to befriend a conference attendee, but I’m married. But I didn’t want to just stay in my hotel room. I ate at the hotel and didn’t have a need to dine elsewhere. It’s a sleepy town, best known for its beaches, humble streets, and daytime activities. I could’ve gone to the movies but none of the offerings of the nearby Cape Cod Mall spoke to me. I wanted to catch the Linda Lovelace movie, as well as Woody Allen’s new one. Neither one was playing there. I resorted to my fail-save, my security blanket, my sanctuary. I went to Barnes & Noble, ordered a cup of Starbucks java, and grabbed a copy of Time magazine to skim through. The cover story was about the appeal of living without kids, of never having them. Apparently the nation’s birthrate, down 9% from 2006, is at an all-time low. The bookstore is like a church or temple. No matter which town or even country that you visit, a stop at the bookstore is always comforting, familiar, and reassuring. It’s an oasis from the world, a place where you feel welcome. It’s a site where ideas scream at you and the covers of books and magazines lobby for your attention. They await adoption and fostering. I’m more than happy to rescue a few publications on a visit. Am I a loser for not exploring Cape Cod at night or for not using this opportunity to socialize and network with others? Nighttime was my moment to rest and relax. I networked by day at the conference. I also took a long walk in the daylight and got to see some of the town’s charm and appeal. I ended up contributing to the book market by purchasing a book, 50 Philosophy Ideas You Really Need to Know by Ben Dupre. It’s an easy book to read and then put down and then pick up again. Each chapter is just a few pages long, and each is an independent unit that can be read without having read anything else. You’d think being at a writer’s conference surrounded by authors and books, the last place I’d want to be was a bookstore, and yet I found it really warming and nourishing to be inside the building that houses knowledge and fantasy, history and current events, theory and reality. I asked for a copy of The Boston Globe. They said they didn’t sell it. This seemed strange. The hotel I stayed at also didn’t sell it. Maybe that’s why they got sold from the New York Times, to the owners of the Boston Red Sox, for peanuts. The bookstore, for as long as it will exist, is a holy place. It’s an arena for the imagination and the informed. I couldn’t see being anywhere else. The New York Times Sunday Book Review (August 11) section recently reviewed a number of books, as it usually does. The books chosen for review were no shorter than 217 pages and as long as 722. A good number were 300+, 400+, and 500+ pages. Is there a bias against shorter-format books? How many pages must a book be to be a book? In the era of e-books and digitally formatted books, a book can have any size page, be any length, and use any typeface. It can have thousands of photos – or none at all. When you read on a device, you lose sight of traditional book dimensions, but when you have a printed book that is smaller than your standard 200-page, 6x9 tome, you feel like you’re holding a magazine. Books should not be seen as providing value based on size, but rather on the quality of the content. But in a deflated book industry that prices books well below their true value, maybe the shorter book is the way to go. Authors can take what would’ve been a normal length book that sells for $9.99 on Amazon and break it up into three books at $4.99 each. Consumers like books that are shorter, provided they feel that they get something complete and of substance. Book girth doesn’t equate to pleasure. Just good writing does. On the other hand, a book ceases to be a book at some point. An essay of 30 pages is just that. It doesn’t have the right to be labeled a book -- or does it? Do reviewers ignore e-books, self published books, or shorter-length books? There certainly is a bias with newspaper and magazine book reviewers. It will eventually change. Should reviews of shorter books be short? Should they be in a certain section within the book review section? If shorter books become popular and normalized, will we see more of them? Some authors serialize their books and sell them chapter by chapter. Soon a chapter-size piece of writing will be the book. Due to technology, books are changing in how they look, in their length, their price, their content, and their publication date. But the competition for books and those who consume books have changed too. Will shorter books catch on? In the long run, they likely will be in high demand. Can You Market & Promote Books Like TV’s Dexter? What would you do with an extra 40 minutes a day? If you lived on Mars, your day would be 40 minutes longer than an Earth day. A Marsian day, known as a sol, would no doubt allow you to do more things. But just what would those things be? If you could spend more time promoting your book, would you do more of the things you’ve been doing, or something different? 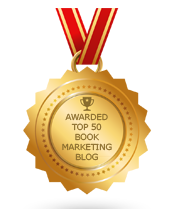 Is it really a lack of time that denies your book success – or how you use that time? If you were convinced that extra time would make a significant difference in how your book is promoted, you must find that extra time and sacrifice something else. Or, you should hire others to help you, to make up for the time you can’t seem to find to promote your book properly. If all else fails, you can promote your book on Mars. There won’t be any competition, that’s for sure. My wife and I celebrated our 11th anniversary by going to the movies and dinner. When you have kids and a babysitter, that’s about what you hope for. But it’s fitting, because our first date revolved around a Woody Allen movie, and now we saw his latest one, Blue Jasmine. Most of the country doesn’t get his movies. I’m not sure why. They always cover a meaty topic, and usually point out that love is hard to keep and life usually leads to loss and heartache – and then you die. Maybe the Jewish guy from New York intellect is not the issue – maybe he is too pathetic, sad, and whiny for America to embrace. It’s hard to be happy all of the time, or for many, even some of the time. To be happy is to at least not be in pain or in need of something. But it’s not just a state of needing or wanting something or of avoiding bad things. To be happy is to be so for a reason, because something or someone makes you smile and feel good. If we just settle or remain ignorant, we’ll likely be happier, but not necessarily more satisfied and accomplished. But if we question everything and don’t remain satisfied for more than a moment, we’ll always feel unhappy and incomplete. So what will it take to achieve happiness? Is it an addiction that makes us happy? Do people abuse their body, mind or bank account in order to get high and feel good? Is that why so many prefer to drink, gamble, do drugs, overeat, womanize, etc.? They just want to escape reality and create a state of fantasy. I thought that’s what books are for – to give is a new world or a new way of looking at the world. I’ve been married for over 4,000 days and with each sunrise there is a new opportunity to seek out happiness and though I’m still looking to reach certain goals in life, I find a measurement of happiness in sharing my life with someone who sees me in a way that no one else can. Who knows what makes any of us happy or why we so quickly go from happiness to states of anger, depression or self-destruction. Nothing is static for long. We constantly move towards happiness – or away from it – intentionally or unintentionally. Most often, for me, happiness is writing and creating. What makes you happy? EXCERPTS FROM: The Road Less Traveled: A New Psychology of Love, Traditional Values and Spiritual Growth by M. Scott Peck, M.D.